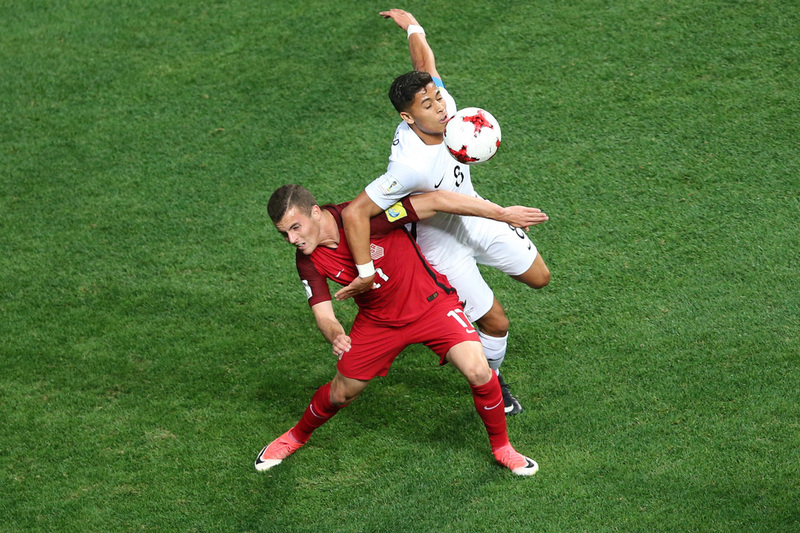 Josh Sargent scored his fourth of the tournament, tying Jozy Altidore (2007), Eddie Johnson (2003) and Taylor Twellman’s (1999) joint USA record for most goals at the U-20 finals. Sargent’s goal came with a bit of luck as Justen Glad’s initial volley from a corner kick took a slight deflection off the St. Louis-native’s shin before going in. Portland Timbers forward Jeremy Ebobisse doubled Tab Ramos’ side’s lead in the second half with a thunderous strike from a Sargent knock-down header. Brooks Lennon then scored with a precise finish into the bottom corner after Eryk Williamson found him with a brilliantly weighted through ball. Glad eventually got his goal, too. The Real Salt Lake defender found open space in the penalty area on a corner kick and steered Lennon’s delivery on target with his head, leaving New Zealand goalkeeper Michael Woud with little time to react and establishng an insurmountable lead for the US.